The goal of the Club is to educate the public about the history, importance, qualities, training and care of the breed, encourage and promote quality in the breeding and performance of purebred Cirnechi dell’Etna with strict adherence to the breed standard in the pursuit of bringing their natural qualities to perfection and to rescue and otherwise ensure humane treatment for the breed throughout the continental United States. One of the items on the agenda at that first General Meeting was the studbook. Kay Durr took on the project and began the official CdECA registry in June of 1998. The Cirneco dell’Etna Club of America (CdECA) had its beginning in Houston, TX on June 15, 1997. Lucia Prieto and Kay Durr, in a day long meeting, determined the requirements necessary to form an effective national parent club and began work on its establishment. 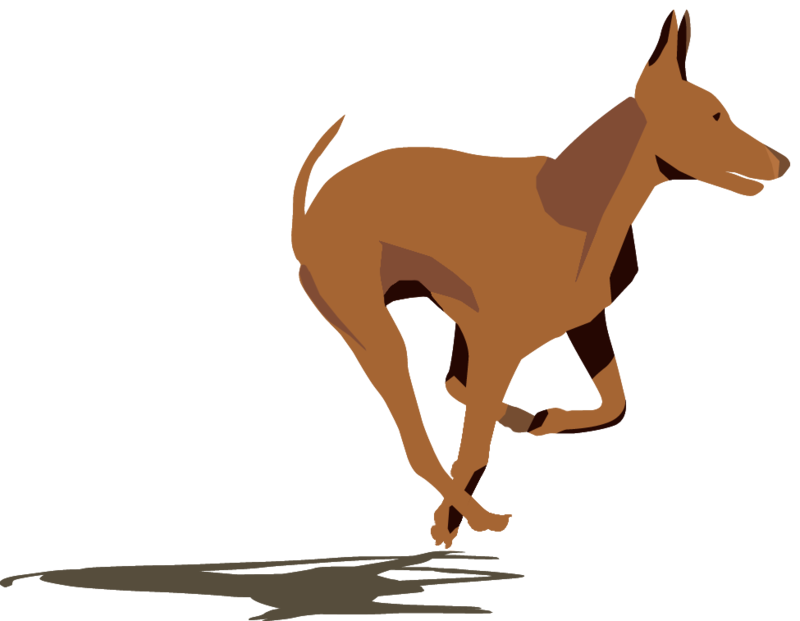 That same day work began on the organization’s Constitution and Bylaws using the Pharaoh Hound Club of America as a guide. Joan Ayers-Cohen and Janis Butler, the only other known Cirneco owners, were contacted and acquiesced to join the organization and serve on the first Board. Through the efforts of member John Unger, CdECA has operated as a nonprofit corporation since the membership ratification of our Articles of Incorporation in October of 2004 and the issuance of the Certificate of Incorporation on February 11, 2005. As President, Janis Butler, arranged for the first Specialty under the auspices of IABCA in Hodgenville, KY. This first National Specialty in 1998 included 12 of the 20 registered Cirnechi known to be in the USA at that time. This Specialty was also the occasion for CdECA’s first General Meeting with 9 members present. One of the items on the agenda at that first General Meeting was the studbook. Kay Durr took on the project and began the official CdECA registry in June of 1998. A Federacion Internationale Cynologique pedigree was required to obtain inclusion and be assigned a CdECA registry number. The Cirneco dell’Etna moved into full breed recognition within the American Kennel Club’s Hound Group on January 1, 2015 and with this, a new book began to be written. The 1999 Annual Specialty and General Meeting were held at Triple Crown in Hutto, TX. In 2000 it was voted that the Annual Specialty would be based in Cat Spring, TX, the region with the greatest concentration of Cirnechi, and there it resided until the inclusion of the breed by AKC in the Miscellaneous Group. With the move into AKC recognition came the need for national exposure and a roaming venue which have included the Eukanuba National in Florida and Morris & Essex. There is still an Annual Performance Specialty held in Cat Spring along with the General meeting. For about the first 10 years there was only one breeder consistently producing a litter once a year and the numbers were increasing slowly. Given this rate of expansion of the breed in the USA, CdECA directed its focus to activities that would educate and strengthen the organization in preparation for fulfilling AKC requirements. This took CdECA to ASFA. Petition was made of the organization for admission into the Miscellaneous Class and such was granted effective December 1999. Although the numbers required to reach provisional status were met and petition for same was made in 2003, it was denied by ASFA due to their restructuring of the “Miscellaneous” to “Limited” class that same year. CdECA began the process anew and was moved from Limited to Provisional status in 2007. At ASFA’s Annual Convention of Delegates in March 2009 the Cirneco dell’Etna was unanimously voted into its own breed class. This was followed by Affiliate Club status for CdECA as the breed Parent Club effective June 2009 and now as a Member Club effective 2016. The Cirneco dell’Etna moved into full breed recognition within the American Kennel Club’s Hound Group on January 1, 2015 and with this, a new book begins to be written.